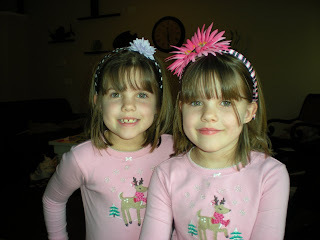 Here are some cute headbands I made for the girls. I got my inspiration while we were at the little girl salon, except they were over 15.00 bucks. You will have to excuse the pj's it was pj day at school.